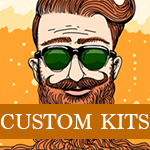 Get Er Brewed has two innovative and very popular customised beer kits. Read below to decide which one is best for you, then click the link. If you need any help, please feel free to get in touch! 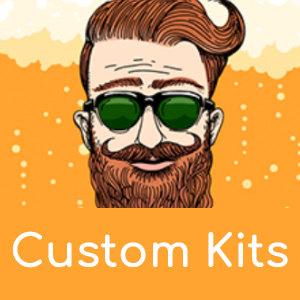 A popular product on Get Er Brewed, this recipe builder is perfect for those taking the step from boxed beer kits to making their own recipe. By picking the type of malt extract, desired beer bitterness, type of flavour and any specific flavourings, our professional homebrew team will create the perfect ingredient kit for you. This is by far our most popular product on Get Er Brewed. Perfect for the seasoned all-grain brewer who wants total control over their recipe. Here you can pick all your grains, hops, yeasts and any flavourings. All the grain is provided CRUSHED in a single vac-packed packet for your convenience. The hops are also freshly vac-packed on the day of the order. IF YOU PREFER US NOT TO CRUSH YOUR GRAINS, JUST LEAVE A COMMENT DURING CHECKOUT AND WE WILL SEND THEM WHOLE.